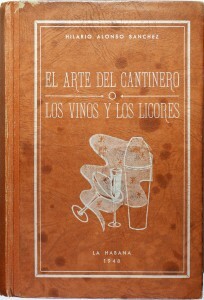 Published in 1948, El Arte del Cantinero was compiled and written by cantinero Hilario Alonso Sánchez who had established in 1911 the Employees Union Café and was an active component of the Club del Cantineros of Cuba: teaching, lobbying for the legal rights of bartenders, and serving as the club’s chief chronicler and historian. —and in particular the reprint of a very eye-opening letter sent by Federico D Pagliuchi, an engineer and one of the leaders of the liberation army, to the editor of El Pais, correcting the origins of the Daiquirí. A full discussion of what it means to be a professional cantinero and a Cuban version of how to stock and operate a bar that stands shoulder to shoulder with Harry Johnson’s Bartenders’ Manual as a timeless manual that is still relevant today.